Starting tomorrow, Heathrow will welcome its second dedicated cargo-only service, AirBridgeCargo Airlines (ABC). The service will offer 100 tonnes of additional cargo capacity a week to Heathrow, already the country’s biggest port by value. Having received Government backing for its expansion, Heathrow will be able to open up 40 destinations and almost double cargo capacity. Heathrow is also investing £180 million over 15 years to improve its cargo infrastructure and processes. These investments will fund a specialist pharmaceutical storage area, as well as better infrastructure to reduce congestion and halve process time from today’s 8-9 hours to four hours. The new ABC service will operate an ad-hoc weekly service, and utilises slots not popular with passenger airlines. ABC’s Heathrow service is the 14th European service destination for AirBridgeCargo and its customers, and will leverage growing market demand for British goods with mainland Europe and South East Asia. 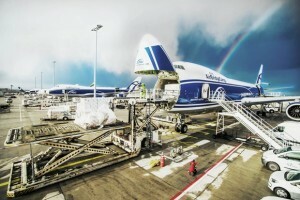 So far this year AirBridgeCargo has embraced different parts of the world, launching flights to USA (Houston and Seattle) and South East Asia (Phnom Penh), thus offering its customers more diversified services via its Moscow hub.